WASHINGTON. 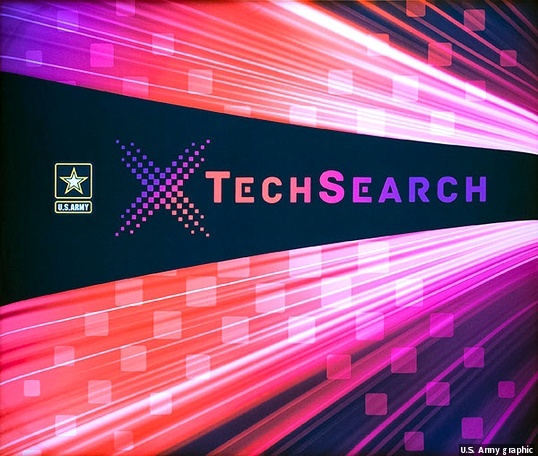 U.S. Army officials are kicking off its second Expeditionary Technology Search competition (xTechSearch 2.0), which aims to engage with the non-defense traditional small business sector. xTechSearch 2.0 is seeking novel, disruptive concepts and technologies to advance capabilities across multiple technology areas to include Long-Range Precision Fires, Next Generation Combat Vehicle, Future Vertical Lift, The Army Network, Air and Missile Defense; Increasing Soldier Lethality, Medical Technologies, and Military Engineering Technologies. The competition follows its predecessor launched earlier this year, in which more than 350 companies participated from across the United States. xTechSearch 2.0 will continue the forward leaning initiative to attract game-changing innovation to the Army by leveraging a competition where companies pitch novel technology solutions directly to Army leadership. Dr. Bruce D. Jette, the Assistant Secretary of the Army (Acquisition, Logistics and Technology), launched the nationwide competitions to revolutionize the way the Army attracts and encourages innovation. "Our Army of the future must be ready to deploy, fight, and win decisively against any adversary, anytime and anywhere, in a joint, multi-domain, high-intensity conflict, while simultaneously deterring others and maintaining the ability to conduct irregular warfare," Jette says. "The next generation of enabling technologies required to achieve these goals may not currently exist or they may not be apparent to the Army so we must proactively and aggressively engage with innovators to see what new ideas, concepts, systems and sub-system components they can bring to the table." xTechSearch will host outreach events across the country leveraging the Army's Open Campus network to engage with American innovators and spur the development of leap-ahead technologies for the Army of the Future. The Army will provide cash prizes for the companies to demonstrate proof of concept for their technology in an Army-relevant challenge area. The deadline for proposal submissions is December 31, 2018. To apply, click here.